Nemours® BrightStart! curriculum strives to encourage early childhood development and promote early literacy skills to help prevent reading failure. Kaplan offers the complete PreK-K Nemours® BrightStart! program, lesson plans, kits, book sets, and other helpful resources. Lesson plans include a variety of components, including Learning Objectives, Read Aloud, Teacher-Directed Practice, Family Connections, Reproducibles, and much more! Each manipulative in this kit ties directly to one or more lessons in the Program, helping children learn with fun, motivating, and developmentally appropriate activities. An essential component to the Nemours® BrightStart! 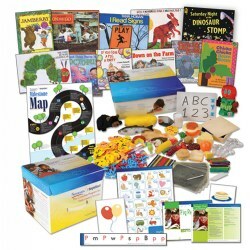 Complete Program for Early Literacy Success, the kit includes magnetic whiteboards, magnifying glasses, magnetic letters, craft sticks, music CDs, puppets, and other items that promote literacy in the early years. The children's books featured in this set are necessary to complete the Read Aloud selections in the Nemours® BrightStart! Program. Grade K - 1. The Nemours® BrightStart! 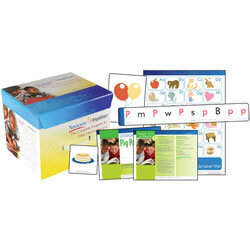 Level Two Lesson Plans Kit contains 36 intensive lesson plans that focus on building a foundation of early reading skills with an emphasis on print awareness, phonological awareness, and phonics. 3 years & up. 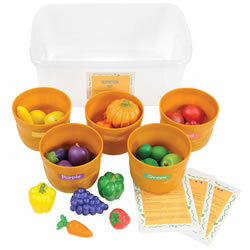 Learn all about proper nutrition with this Nutritional Food Activity Kit. 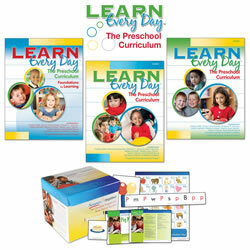 Kit can also be used to learn counting, colors, pretend play, and more. The learning and dramatic play possibilities are endless! Included: 3 Double-sided activity cards, 5 sorting baskets with a mixture of 25 color coordinated, and a Self-contained storage case. 3 years & up. 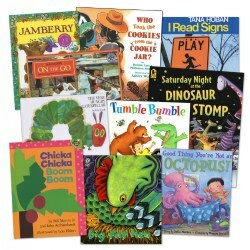 Each book in the set represents a variety of formats from popular fictional stories to informative, content specific books that develop language, vocabulary and comprehension skills. 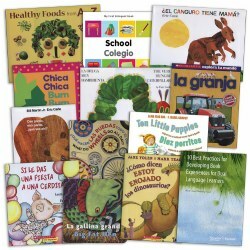 Perfect for providing read aloud experiences to children whose native language is Spanish.Includes best practices guide for instructional support. 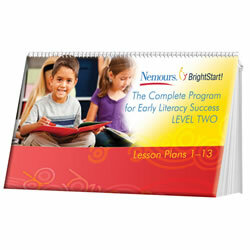 Note: Each book in this set was selected to enhance the lessons provide in both Nemours® BrightStart! programs. 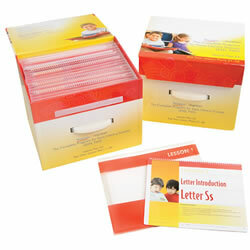 The set can also be used in any classroom. 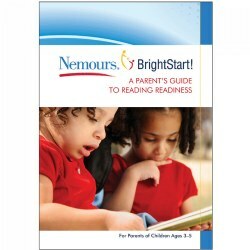 The Nemours® BrightStart! Complete Program for Early Literacy Success puts teachers on the cutting edge of early literacy best practices with an exciting new approach to building reading readiness skills in struggling learners. This program is specifically designed for teaching literacy skills for Kindergarten through Grade 1. Grade K - 1. 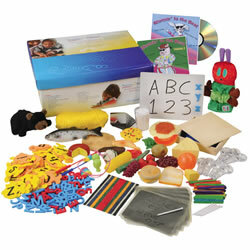 Level Two Manipulatives kit is an essential component of the Nemours® BrightStart! Complete Program for Early Literacy Success Level Two. 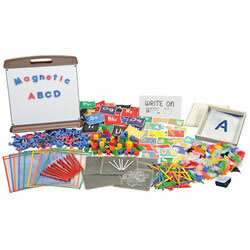 Each manipulative in this kit ties directly to one or more lessons, helping children learn with fun, motivating, anddevelopmentally appropriate activities. Movement and dance activities are essential for developmental needs, and this activity kit makes planning a breeze! 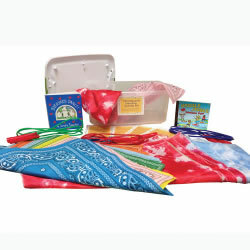 This kit includes three double-sided, laminated activity cards; 24 bandanas; "Barnyard Dance" book; three jump ropes; and "Wiggle Jiggle Fitness Fun" CD. The kit comes in a self-contained box. 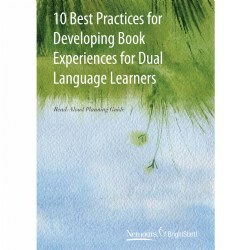 The strategies in this guide are based on stages of language learning and include ways to differentiate instruction, engage children in higher-level thinking, strengthen their use of newly learned language, and support their language progression and development. Learning to read is one of the major milestones in a child's life, and it's one that parents worry about. This guide gives parents information on how to support their child on his or her reading journey. Now parents of children, aged three to five years old, have the power to ensure their child becomes a successful reader. Available in English and Spanish. Set of 20 guides. This full-color illustrated poster addresses parents' and teachers' concerns about children's reading readiness and progress. 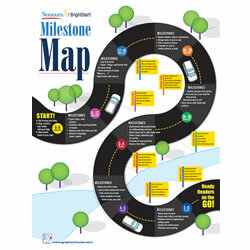 Includes milestones and warning signs indicating that children might be at risk for reading challenges from birth through age six. By tracking children with this simple map, parents can be sure their children are keeping up with their peers, and intercede if they begin to notice warning signs. Available in English and Spanish. Set of 20 maps. Learning to read is one of the major milestones in a child's life, and it's one that parents worry about. This guide gives parents information on how to support their child on his or her reading journey. Now parents of children, aged three to five years old, have the power to ensure their child becomes a successful reader. Available in English and Spanish.